Download the Annual Meeting RSVP Form Here! All SAR, DAR, CAR, SR Patriotic and Historical Societies and Chapters are invited to participate in the formal wreath laying ceremony at the site of the Colonial Halifax Courthouse. The keynote speaker will be NSSAR Secretary General John T. Manning. Color Guard members with weapons must be present at 10:15 a.m. for a weapons check by park personnel. The program will begin at 10:30. 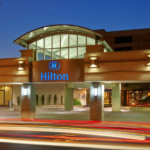 A block of rooms has been reserved at the Hilton Garden Inn Roanoke Rapids, 111 Carolina Crossroads Pkwy., Roanoke Rapids, NC 27870 (Exit 171 I-95). The telephone number is: 252-519-2333. The rooms are $89.00 + tax. You must specify when the reservation is made that you are a member of the Sons of the American Revolution and use the group code SAR19. Check-in: 11 April, Check-out 12 April. Reservation must be made by 5 April. Reservations after that time will be on a space available status. Point of contact for lodging questions is Ken Wilson at 252-537-5406 or boxcar27870@embarqmail.com. A Reception is being planned for 5:00 pm on Thursday, April 11th at the hotel followed by a Dutch Treat dinner at Ralph’s Barbecue, 1400 Julian Allsbrook Highway, Weldon, NC at 6:00 pm. A luncheon will be held following the ceremony at the Halifax United Methodist Church, 150 South King St. in Halifax, NC. The price of the luncheon will be $12.00 per person. All RSVPs must be received by April 9th for the meals and to be listed on the program. A dedication ceremony for an outdoor display of the nation’s founding documents will be held at 2:00 pm April 12th, 2019 in front of the Historic Halifax County Court House, 10 N. King St. in Halifax, NC. This display will contain a copy of the Halifax Resolves, the Declaration of Independence, the Constitution and the Bill of Rights and is entitled “Charters of Freedom”. Bring spouses, friends, prospective members! Order from the menu. Dutch treat.